Every guy wants to buy the perfect proposal ring for their beloved. And being one of the major purchases we make in our lives, it’s important to plan ahead and understand the elements and the processes involve when buying one. Not only will it make your girl happy, but saves you a fortune as well. Before you start shopping for an engagement ring, determine first how much you’re willing to spend for this jewellery. If your lady is involved in the entire planning process, sit down and discuss about your finances—not only about the ring, but in general. Consider each other’s opinion when it comes to dealing with big purchases before deciding on the budget for the engagement and wedding ring. If your budget doesn’t allow for a larger stone, create an illusion of additional carats by going for a halo setting. The circle of smaller gems around the centre stone will make your diamond appear bigger, as well as lend a classic, vintage look to the ring. 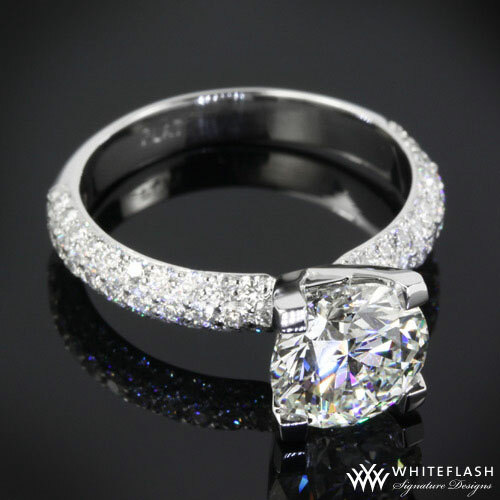 Any woman will love to flaunt a flashy rock, but not everyone can afford it. Well, thanks to pave diamonds for the proposal ring for your engagement in Singapore you can mimic that glamorous look. These diamonds are tiny stones that add distinctive look to engagement rings. Because they are so small, they are much more common and less expensive. For a stunning yet more affordable diamond ring, consider buying a smaller center stone and then lining the band with pave diamonds. You’ll get as much sparkle as the regular-sized diamond, but for a lower price. Remember: less metal means lower cost. Therefore, a prong setting (which secures the stone like a tripod above the ring band) is a much more practical option than a bezel one (a metal ring that encircles the edge of the stone to hold it in place). Since most part of the stone is visible in a prong setting, this is also a great way to showcase the diamond and allows much easier cleaning. We advice, though, to go for platinum if opting for this setting, since this metal is highly durable and can hold your centre stone firmly in place. Platinum has plenty of pros: It’s a natural metal, so its colour won’t fade; it’s durable, perfect for those with active lifestyle; and it gives off a beautiful shine and polish. But of course, all those qualities come with a price. And since platinum is 30 times rarer than gold, expect to pay a hefty price for a platinum engagement ring. 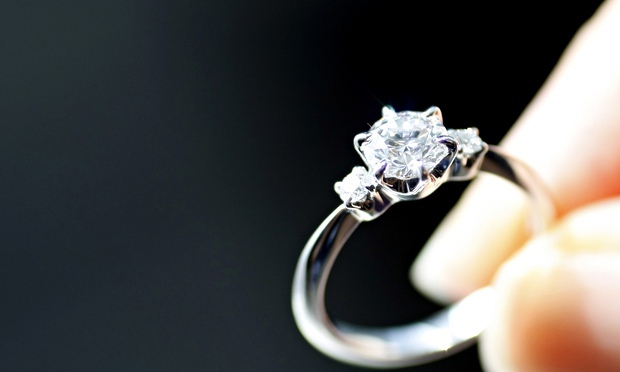 If you want to mimic the look (but with fewer benefits), white gold could be your best choice. It’s a lasting element; resistant to tarnish, rust, and corrosion; look very pretty, and—the best part—it’s easier on the wallet. If you wish to get more savings, purchase your proposal ring in set. 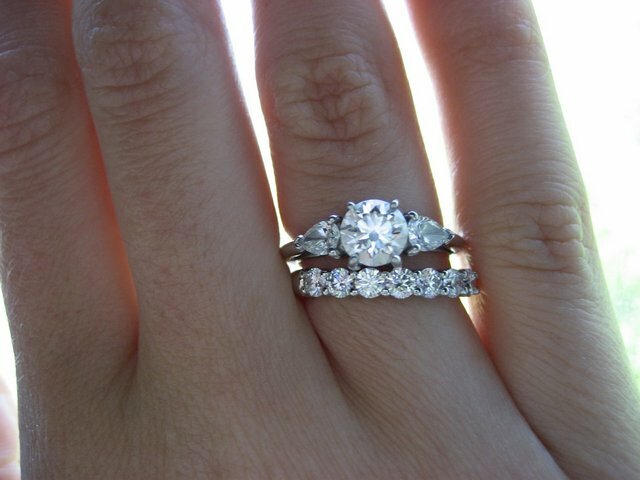 Sometimes, it’s easier to score better deals if you buy her engagement ring and wedding band at the same time. You might even get more savings if you buy your wedding band in the same Singapore jeweller, too. When looking for best deals, keep in mind that the cheapest is not necessarily the best deals—as you usually get what you pay for. Look for ones that are reasonably priced and resonates a beauty that gives a big bang for your buck.